We are a small, family run hotel located in a quiet area, just 15 walking minutes from the white beaches of Playa del Carmen. and just 3 blocks from a major supermarket and local restaurants. 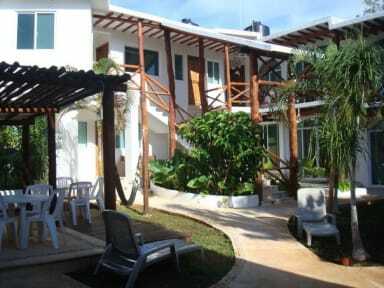 -- Studio rooms which all have small kitchen, a/c, Cable tv, sitting/eating area and private bathrooms with shower. 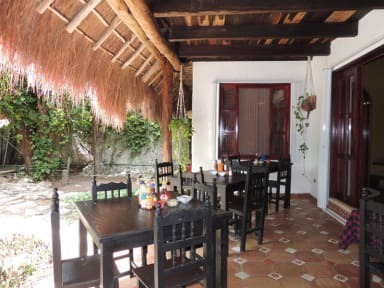 -- Budget rooms located in the adjacent building, the palapa rooms all have private bathroom and a/c, there is a common kitchen, pool and BBQ area. Transfer service available from airport for 65 dollars.